This photo by DigiNik13 makes excellent use of depth of field. DOF typically haunts MOC photography by diminishing scale or losing detail. But when used correctly, like this, it makes the shot. It's a simple trick that's hard to master. 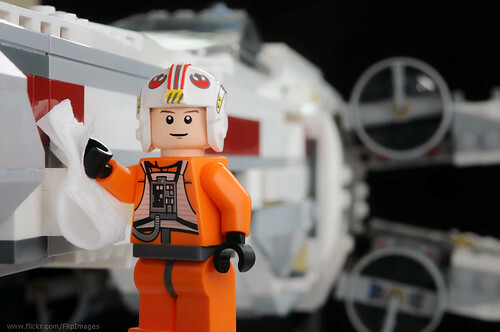 See how you have no problem identifying the ship he's standing next to, yet Luke is set off the background by focus. The lighting is also great, with just enough reflections and highlights to sculpt and model the contours. Nice shot.